We often do not seize the numerous opportunities we are afforded to shape the learning experiences of our mentees, let alone influence the environments in which those experiences transpire. We do not frequently enough embrace the art of mentoring. Contemplate the scenario of working with a new undergraduate or graduate student. Experienced mentors, using evidence-based practices, understand the importance of helping new mentees develop a research project, establishing and aligning clear expectations for the relationship, and communicating regularly and effectively. Some best practices toward achieving these aims include 1) thoughtful, intentional project design that takes into account the mentee’s background and interests; 2) use of written mentoring compacts (examples can be found at https://bit.ly/2lFc2Qz), and 3) regular conversations using active listening strategies. Yet even the most skilled mentors can stretch beyond these best practices. They can improve the learning experiences they are shaping by purposely providing opportunities for the mentees to network and engage with others, finding ways for mentees to immerse themselves in the discipline, fostering a sense of belonging within the research team and the department, and creating spaces for mentees to share their ideas. Moreover, mentors can influence the environment, enriching both physical spaces and climate. For example, mentors can decide which images to hang on the walls, influence the topics and tenor of discussions around the lab, and model ways in which all team members are valued and celebrated. Importantly, culture informs and influences art and vice versa in amazing ways. If we are open to learning about diverse cultural perspectives, then that knowledge can help us shape experiences and environments in which mentees from diverse backgrounds can flourish, providing space for them to interpret the art in their own ways and demonstrating that we value their different perspectives. [M]entors can decide which images to hang on the walls, influence the topics and tenor of discussions around the lab, and model ways in which all team members are valued and celebrated. A colleague recently asked me if the practice of mentoring was science or art. As a researcher who studies mentorship, my immediate response was “science.” My colleagues and I have spent more than a decade studying mentoring and teaching mentoring skills. I supported my point by noting that the National Academies of Sciences, Engineering, and Medicine recently launched a consensus study entitled “The Science of Effective Mentoring in Science, Technology, Engineering, and Mathematics” (https://bit.ly/2yQLcOQ). Yet, over the following weeks, I found myself contemplating the question more deeply and considering the art of mentoring and the role of mentor as artist. My pondering motivated me to do a bit of research, which began with a quick Google search using three words: art, science, and mentoring. It turns out that the well-known scholar of mentoring, networking, and diversity, Joan Reede, Dean for Diversity and Community Partnership and associate professor of medicine at the Harvard Medical School, gave a talk entitled “The Art and Science of Mentoring” in 2015. During her lecture she encouraged faculty to find people and places that fostered their career growth. She noted the importance of identifying environments in which one’s work is valued and mentoring for advancement is offered. Her comments furthered my thoughts on the ways in which mentors, like artists, shape and influence experiences and environments. Much work has been done to define attributes for effective mentoring relationships and to develop evidence-based training for both mentors and mentees to gain competency in these domains.1 Scientific investigations of mentorship are growing, and many research projects are underway to better identify critical factors in mentoring relationships across a range of variables. In fact, the National Institutes of Health will fund a second phase of its National Research Mentoring Network (www.nrmnet.net) with support for multiple research studies aimed at understanding why, for whom, and in what circumstances mentoring approaches are effective. Clearly, the science of mentoring is advancing, but what about the art of mentoring? Is there room for both? Consider a faculty member with a decade of mentoring experience who has engaged in hours of mentor training. This mentor is likely to have a wealth of knowledge and a deep skill set with approaches for addressing a wide range of mentoring challenges. Some would argue that there is an art to deciding when to use specific approaches for optimal impact. In many ways, this scenario parallels that of a well-trained artist, who possesses all of the supplies needed (e.g., paints, brushes, canvases) and all of the skills required to paint. Despite all of this preparation, the artist must still decide what, where, and when to paint. I would argue that the role of mentor as artist stretches even beyond this analogy. 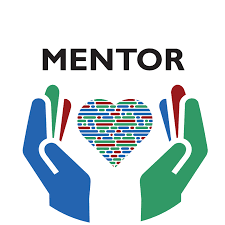 Mentors have the opportunity and privilege of engaging in the interactive art of mentoring, shaping the learning experiences of their mentees and the environments in which those experiences take place and adjusting their approach as needed. The opportunity to take on the role of artist and shape an experience is an idea that has been discussed in teaching for a long time. In fact, many books have been written on the art of teaching. Consider this: Teachers create learning experiences. As teachers, we map out pathways (syllabi) to walk students through multifaceted learning experiences. We make decisions on how to engage students in learning, choosing to engage them actively or passively. We craft a range of activities to promote and support learning. In short, we provide a canvas, draw some sketches as a starting point, provide materials and direction, offer encouragement and resources along the way, and coach students toward success. Hopefully, we also work to create safe, interactive, inclusive, and inspiring environments. The recently released report entitled “Graduate STEM Education for the 21st Century” recommends that “faculty should cultivate their individual professional development skills to advance their abilities to improve educational culture and environments on behalf of students.”2 The science of mentoring demands that we consider evidence-based practices in our mentorship, but the art of mentoring invites us to explore the creative ways in which we can shape the learning experiences and environments of our diverse group of trainees in ways that instill a sense of belonging and support their development. 1Pfund C, Byars-Winston A, Branchaw J, Hurtado S, Eagan K (2016). Defining attributes and metrics of effective research mentoring relationships. AIDS Behav 20(Suppl 2), 238–248. 2National Academies of Sciences, Engineering, and Medicine (2018). Graduate STEM Education for the 21st Century. Washington, DC: The National Academies Press. https://doi.org/10.17226/25038.